Did you know you need a payment gateway to accept credit card payments online? We set you up from there! What are the advantages of using a third party gateway? Good question. Some banks don't offer their own gateway, and the ones we've seen that do, take your customers to their website to process the transaction. This results in a lower sales conversion rate and makes it hard if not impossible to keep your customers details in your own database, not to mention analytical metrics. 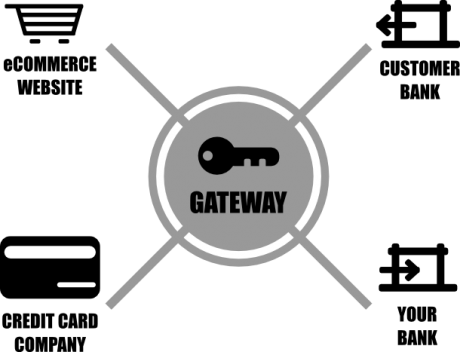 Using our third party gateway also keeps your costs down. Not just transaction fee costs, but development costs. Rather than us having to charge over $1000 development time to connect your site to your gateway, we connect your site to our gateway and you don't have to pay a cent for development. Don't get stung with exorbitant merchant fees. We buy bank payment gateway access wholesale and pass the savings on to you. We don't think you'll find a cheaper bank payment gateway. Our service is Australian, top quality, fully secure, and fully redundant. What about refunds and subscriptions? Well that's the other benefit of using our gateway. You can perform refunds directly from the order page of your eCommerce CMS, and we cater for automated repeated charges like monthly or annual subscriptions. We've even built warehouse integration so that approved returns to the warehouse are automatically refunded! Apart from the fact our eCommerce shop websites use 256-bit SSL encryption and security certificates, we don't store credit card numbers. So a hacker couldn't steal your customers card numbers even if we let them in - we simply don't store them! We use a token and the card details are kept securely by the bank gateway; they are fully PCI DSS compliant. They also regularly liaise directly with your bank so even if the banks network or servers are down, they are right on top of it. What are the gateway fees & pricing? So if you make 100 sales you pay $40 in total ($20 plus 100x$0.20 = $20). But if you only make 5 sales you only pay $10 in total (5x$2). We'll automatically switch you over to the casual rate so you save either way! N.B. Prices exclude GST which is added to the monthly invoice.